For more than two decades, Kalorama Information has been a leading publisher of market research in healthcare areas, including in vitro diagnostics (IVD), imaging, biotechnology, healthcare, medical devices, and pharmaceuticals. Kalorama began as a syndicated publishing arm of Find/SVP and its focus was on medical markets in the U.S. Kalorama Information is now owned by Bioinformatics Inc, part of the Science and Medicine Group. Kalorama continues to be the leading global publisher of market studies on healthcare industries. Kalorama only publishes in healthcare. Our comprehensive quality research and innovative approach to analysis and presentation of market intelligence have made Kalorama Information a premier source of market information for top industry decision makers. In addition to having customers among top companies in healthcare, we are routinely solicited by the media for market data and understanding of topics. Our research team is committed to serving the information needs of professionals in the biotechnology, diagnostics, healthcare, medical devices, and pharmaceuticals markets, at all levels of management, in all sizes of companies. Bill Imbornoni provides detailed review and editorial for Kalorama reports. He also covers microbiome diagnostics, big data and mergers and acquisitions topics. Prior to being editor at Kalorama Information, Imbornoni worked in a variety of production roles at Springer-Verlag and St. Martin’s Press. Shara Rosen has been in the healthcare industry since 1971. She has worked as a laboratory technologist, a marketing manager for a diagnostics company, and a journalist and editor for medical trade journals. Ms. Rosen was the editor of Diagnostic Insight, the official publication of the Biomedical Marketing Association. She also owns and operates her own consultancy, which provides market information services to the diagnostics and biotechnology industries. She is Kalorama’s senior analyst in the in vitro diagnostics industry, having authored scores of reports on virtually all areas of clinical and nonclinical testing. Mary Anne Crandall has been publishing market research in the life sciences for more than 10 years. She is the founder and CEO of Mountaintop Medical, LLC, a consulting firm in Oregon. She has been teaching at Southern Oregon University for over 12 years, and before joining Kalorama’s analytical team, she published with Frost & Sullivan, Theta Reports, FIND/SVP, MDI, FeedBack Research Services, Prognosis and Hall Enterprises. Ms. Crandall specializes in prescription pharmaceutical markets. Melissa Elder, one of the principals of Mountaintop Medical, LLC, is a key pharmaceutical analyst at Kalorama and author of over one hundred market research studies in the healthcare marketplace. Her unique analytical style goes beyond the numbers to discover deep trends in the market missed by traditional research. Among her specialty areas are cancer therapeutics and vaccines, pediatric drugs and clinical nutrition products. In addition to constructing primary research reports for Kalorama, she provides expert commentary to trade and consumer news media. Justin Saeks is an expert in biotechnology and life sciences instrumentation markets. He’s completed over a dozen studies for Kalorama Information, with a specific specialty in DNA sequencing instruments, consumables and sample preparation markets. His market insight and commentary has appeared in GenomeWeb, Forbes magazine and Genetic Engineering News, among other outlets. In addition to authoring reports for Kalorama, Saeks consults with a variety of companies in the industry. Our research is written by industry experts who offer insight on industry structure and competitive landscape, technology assessment and penetration, and emerging products and trends. Their analysis is based on both primary and secondary research as well as years of professional expertise in their respective industries. In addition to analyzing current and historical trends, our analysts predict where the market is headed over the next five to ten years. 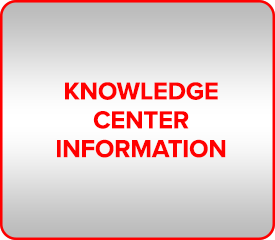 Gain full access to the leading source of medical market intelligence through an annual subscription to Kalorama Information’s Knowledge Center. Gain full access to our entire report collection for one year, or choose a single area from biotechnology, diagnostics, healthcare, medical devices, pharmaceuticals or any combination thereof. The service also includes access to our complete collection of past research. For more information, contact a Kalorama Information Representative. Kalorama Information’s clients range from CMOs and marketing managers of leading healthcare brands, like Wyeth and GlaxoSmith Kline to industry consultants, ad agencies, and corporate librarians. – Jim Madden, Chief Information Officer, Quest Diagnostics, Inc.
For more than two decades, Kalorama Information has been a leading publisher of market research in medical markets, including biotechnology, diagnostics, healthcare, medical devices, and pharmaceuticals. Our comprehensive, timely, quality research and innovative approach to analysis and presentation of market intelligence have made Kalorama Information a premier source of market information for top industry decision makers. We publish market research reports, featuring quantitative and qualitative research on medical and healthcare markets, trends, and companies. We offer a breadth of reports that includes both in-depth market profiles with expansive coverage of a specific topic as well as shorter executive summaries of our popular full-length studies. Kalorama Information has an in-house research team and an external pool of expert industry analysts who are entrenched in their respective markets. The pairing of their industry knowledge and relationships with market leaders gives Kalorama Information unique access to insights beyond data. Reports are grouped into the following industry categories: biotechnology, diagnostics, healthcare, medical devices, and pharmaceuticals. Each industry has detailed subtopics for easy browsing. Kalorama Information studies are based on primary research and in-depth interviews with industry players. Not only do we collect primary data, validate it and confirm it with external sources, our analysts bring years of experience and connections to industry leaders to their assessment and predictions for markets—major and niche. Our analysts complete extensive interviews with industry executives, clinical practitioners, government policy makers, and respected consultants for every Kalorama study. Secondary sources, such as regulatory filings, company literature, press reports, and commercial databases, are relied upon to validate market assumptions and detail industry events. How does search on KaloramaInformation.com work? Search finds reports containing your keywords in the title, abstract, table of contents, or publisher name. You can also narrow your search by price, date published, topic, and geographic region. Items purchased for online delivery are normally available as soon as your order is processed. If you make your first purchase over a weekend or holiday, you will be contacted the following business day. Kalorama Information is a leading source for market data, trends, and analysis in medical industries, including biotechnology, diagnostics, healthcare, medical devices, and pharmaceuticals. Journalists from The New York Times, The Wall Street Journal, Forbes, The Washington Post, and other leading news sources frequently cite Kalorama Information in their articles. If you’re looking for general market information or specific data for editorial purposes, please contact us.